It’s among the most anticipated releases about the modern political climate, and Russia Reconsidered: Putin, Power, and Pragmatism is out June 12! 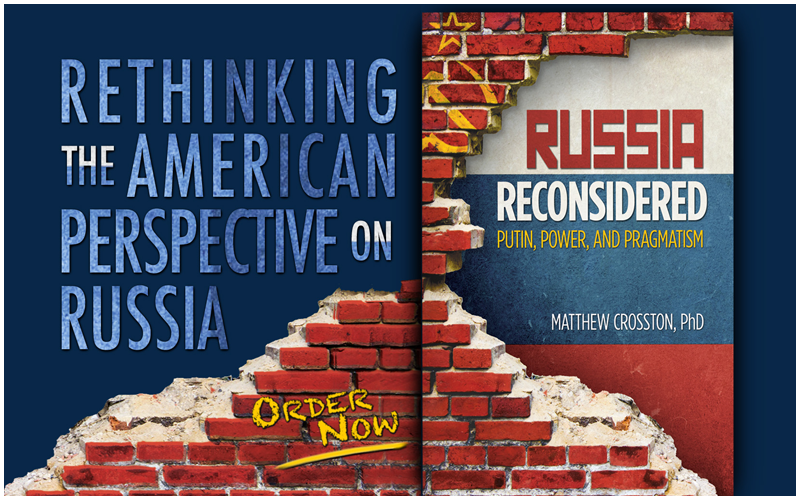 The debut of Dr. Matthew Crosston's definitive work on Russian-American relations is uniquely significant, because the launch date also marks an important milestone - #RussiaDay. Get the story behind the holiday, and find out why the latest title from Dr. Crosston is capturing global attention . . .
Few people have careers in Russian studies longer or more distinguished than Dr. Crosston, Modern Diplomacy’s Executive Vice Chairman and American Military University’s Senior Doctoral Faculty in Strategic Intelligence and Global Security. Visit RussiaReconsidered.com to meet the modern iconoclast dedicated to evolving thought beyond the "cold war pathology" and bringing bring a fresh approach to understanding Russia foreign policy and global positioning. 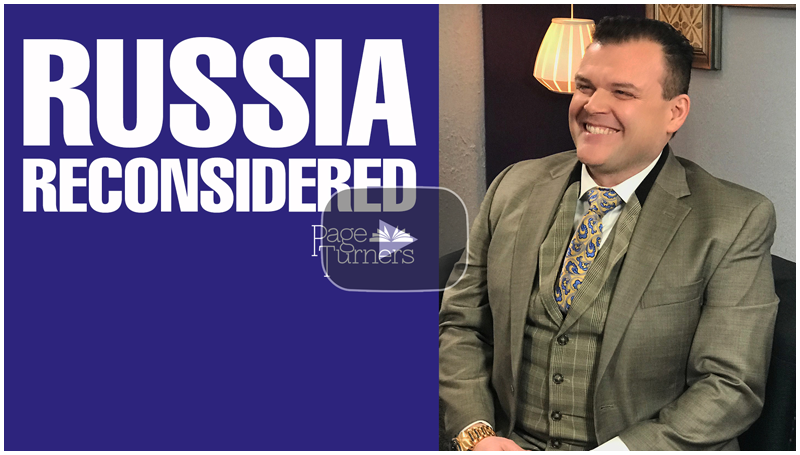 Subscribe to ABB's YouTube channel to catch Episode 1 of Page Turners for a look inside Russia Reconsidered with the international intelligence expert who (literally) wrote the book on Putin, power, and pragmatism. WHAT IS RUSSIA DAY? If you’re not sure what Russia Day signifies, you’re not alone; even in its country of origin, the meaning is sometimes misunderstood. Originally created on June 12, 1990, to honor the establishment of the Russian Federation, the holiday technically began as a recognition of the adoption of the Declaration of State Sovereignty of the Russian Soviet Federative Socialist Republic (RSFSR). However, the concept has evolved into a general celebration of the country and its culture, with the title Russia Day receiving the official seal in 2002. IS THE HOLIDAY CONTROVERSIAL? While it’s not necessarily a source of controversy today, Russia Day was considered paradoxical by some when it was first enacted. Currently, the country remains a bit ambivalent about the date, and as of 2014, only 30% of citizens reported that they considered it a major holiday. HOW IS IT CELEBRATED? In addition to the State Awards handed out to prominent Russian writers, scientists, and humanitarians, traditional holiday events like concerts and fireworks are held around the country, since many people have the day off. Want to know more about America's evolving perspective on Russia? Head to RussiaReconsidered.com to buy the book!